We have one aim - make it as easy as possible for teachers to share with parents the activities their children are doing at school. That's why we make school websites that teachers can easily post to, and mobile apps that alert parents when relevant news or photos are posted. Our apps get their content straight from your school website. You don't even need a new site - if you can post news on your site, we can use it to power a school app. Parents can subscribe to the classes they're interested in, so they get a notification when there's news or photos relevant to their child. Apps are available for iPhone, iPad and Android, and are free to download. We know a school site quickly stagnates if it's hard to update, or if only one person maintains it. So we make it easy for all teachers to post updates about their own classes. Photos, videos, news... they're all a doddle to put on, and we encourage you to post as much as possible (there's no storage limit!) 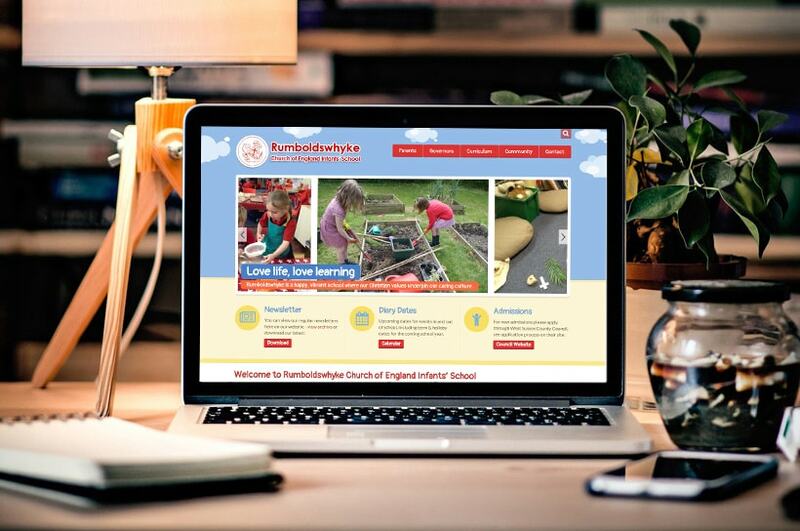 Your new site will look great, buzz with activity, and engage with pupils & parents alike. Easy - we'll make you a free example primary school website design or mobile app - click to apply now! Questions? Give us a call on 0333 212 7633, email [email protected] or message us below and we'll answer your query ASAP. We'd like an app, do we need to buy a website too? No. We create school websites and apps, and they work great together, but our apps are compatible with most other websites too. So if you're happy with your current site we can pull news from there and post it to your app. Do we need technical skills? No. We do all the tech work to build your website or app. When it comes to updates, we have a really simple admin panel. If you can post to Facebook, you have the skills to post school news and photos! Can we choose the design? Yes. We have a wide range of modern eye-catching design layouts to start from - just choose your favourite. We'll customise it for you, adding your school's logo, colours, and photography. Is it much work to enter content? We'll deliver your site with some pages already copied over from your old site to minimise the effort needed to go live. After that you can add & edit pages easily yourselves. As for apps, all app content comes straight from your site, there's nothing extra to manage. Yes. The monthly cost covers hosting, maintenance, backups, and as much 1-to-1 support and assistance as you need. We can also provide on-site training (travel costs are chargeable), and video tutorials to keep everything clear and easy. Can we keep our web address? Yes. You keep your school's existing domain name, as well as other services like email, office and payment systems, which we'll make sure are unaffected by your new website or app. 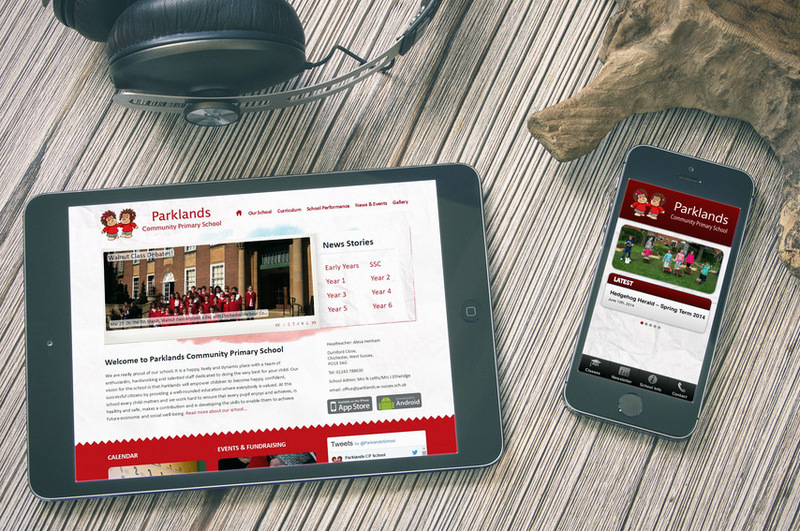 Live Schools are experienced at mobile app and primary school website design, created by Proven Web, an established website development company based in the UK. We help schools right across the UK. Our address is: The Core, Bath Lane, Newcastle upon Tyne, NE4 5TF. Front Street Primary School in Whickham, Newcastle, was our first school website, and has been operating successfully since 2009, with 3 design refreshes in that time. 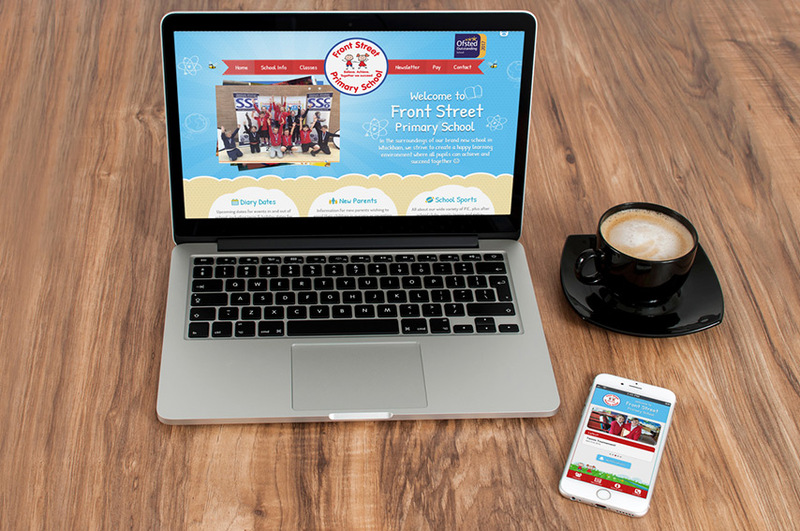 The powerful features and facilities now available in our school sites are largely due to the experiences and feedback provided by the staff, children and parents of Front Street Primary who have all used the website – and accompanying smartphone app – as a main method of communication for many years. Teachers are all responsible for posting their own content online, and all do, on a regular basis. This often includes large numbers of photographs. These are extremely easy to upload using our simple management tools, so staff are happy to post regular updates about work and activities going on in the school, to the delight of parents, who can keep up to date via the website or apps. Notifications of new articles or school newsletters are also delivered by email automatically to any parents who have opted-in, meaning there is no longer a reliance on children taking letters home. Parklands Community Primary School is located in Chichester, West Sussex. The school selected one of our standard school templates, which we then customised for them, to add the school logo, a colour scheme that matched the uniform colours of the school, and some of the existing content from the previous website. Teachers are all responsible for posting their own content online, and all do, on a regular basis. This often includes large numbers of photographs. These are extremely easy to upload using our simple management tools, so staff are happy to post regular updates about work and activities going on in the school, to the delight of parents, who can keep up to date via the website or the app. Notifications of new articles or school newsletters are also delivered by email automatically to any parents who have opted-in, meaning there is no longer a reliance on children taking letters home. Hebburn Lakes is a primary school in Hebburn, Tyne and Wear. The school purchased a website and smartphone app in 2017. As with all LiveSchools apps, parents can sign up for notifications about specific classes and year groups, so only relevant alerts are sent to parents' smartphones. Content is added to both the app and the website simultaneously via our simple to use admin panel. The school allows all teaching staff to write news, but using our system all content is checked and authorised by a member of senior staff before it is published live. Prudhoe Community High School, in Northumberland, is a mixed secondary school for pupils aged 13 – 18. It is a Specialist Technology College with approx. 800 students on roll (220 in Sixth Form). 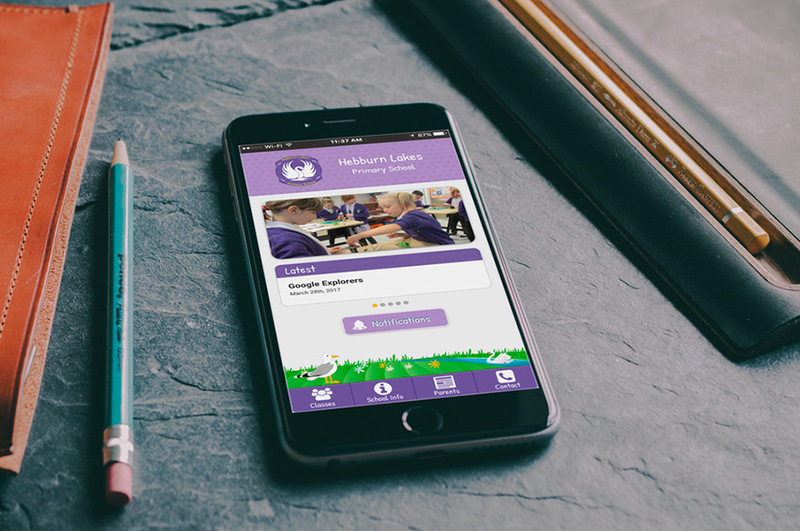 We designed and developed their new mobile-friendly website, which is used regularly by students and is helping to improve to transform the image of the school within the local community. Beatrice Tate School in Mile End, East London, is a special school for pupils aged 11–19. It is regarded as an outstanding school that provides excellent education, care and support for students with complex educational needs. 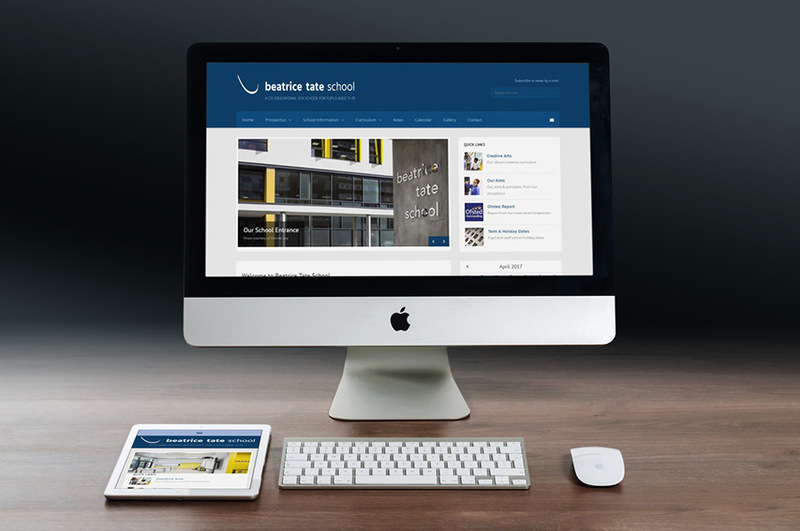 The school website is based on one of our standard templates, however this has been considerably customised and adapted to match the nature of the school and its requirements. 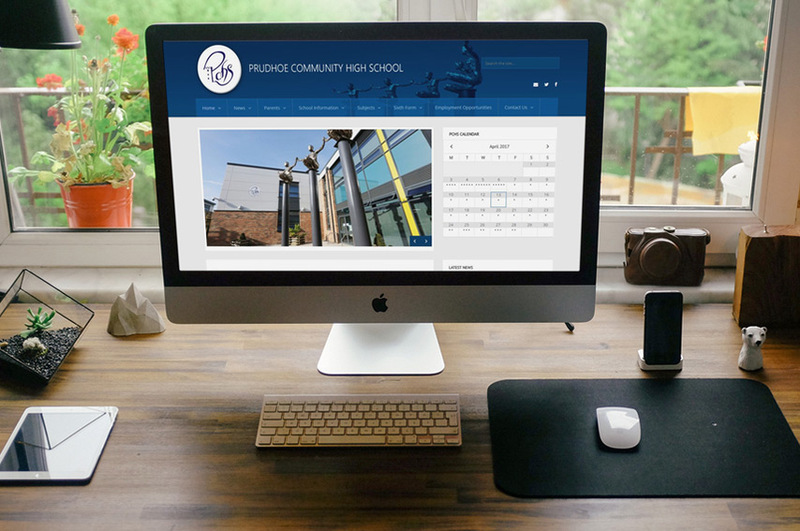 A clean, simple structure has been chosen, and a rotating image carousel has been added to the home page to feature photos of the brand new school building. All content is easily added and edited by school staff. Rumboldswhyke is a Church of England Infant school situated in Chichester, West Sussex. The website is based on one of our newest primary school templates. All content is managed directly by staff at the school using our easy to use admin panel. As with all our school sites, it includes facilities to categorise news stories and photos on a per-class or per-yeargroup basis. Parents can sign up to email newsletters so that they are notified automatically of any relevant activities posted onto the site. There is also an events calendar to clearly show upcoming diary dates on a monthly basis, and a Google Translate tool so all content can easily be viewed in other languages.